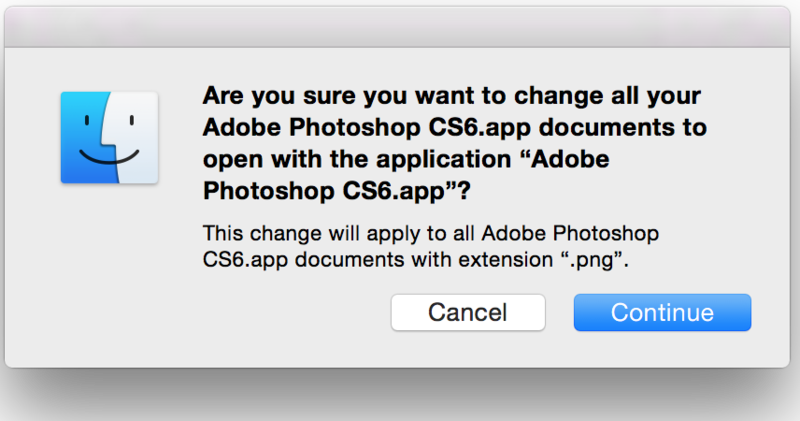 This started out as an article on simply ‘how to set file associations’ but when I tried to associate .jpg files with Photoshop it refused to work, (they stayed associated with the MAC Preview application). 1. Right click a file of the type you want to associate, (or cmd click if you don’t have right click enabled). 2. 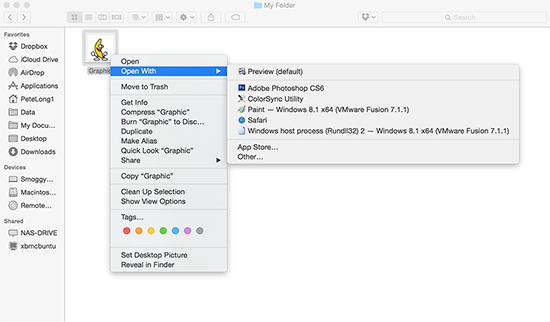 With the right click menu still on the screen press and hold the ‘options’ key. 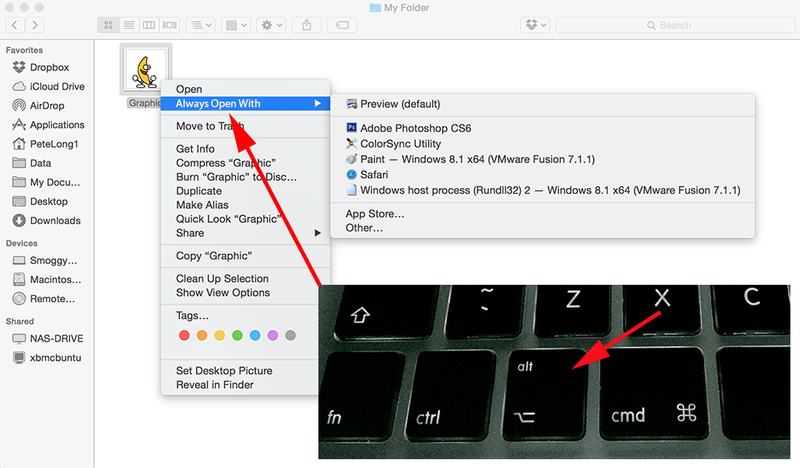 If like me your new to MAC that’s the key indicated below. 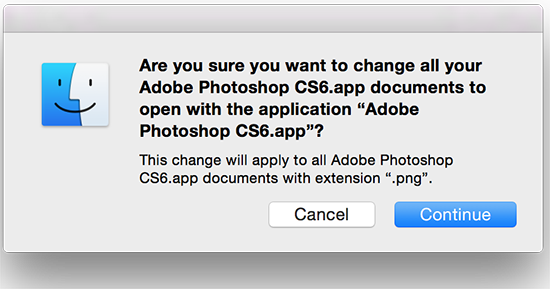 At this point ‘Opens With’ changes to ‘Always Opens With’. Select the application that will be the new default application for that file type. 1. 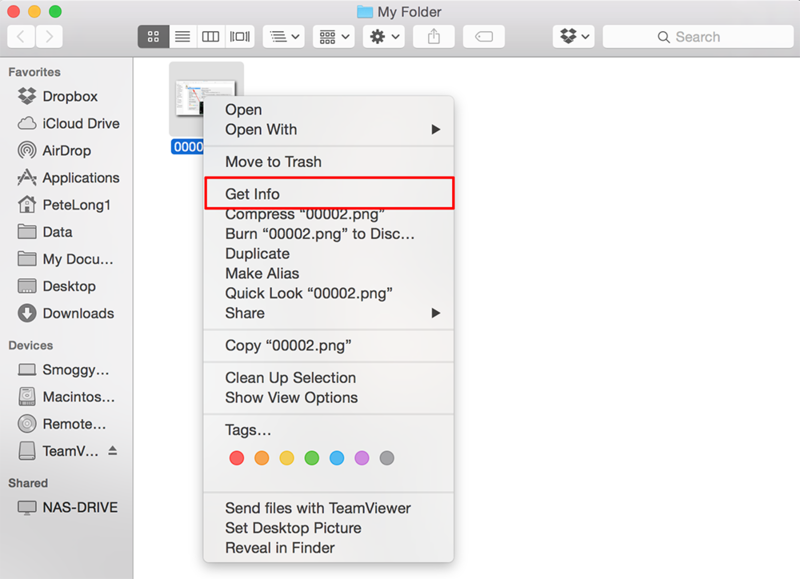 Right click (or cmd click) the file in question > Get Info. 4. 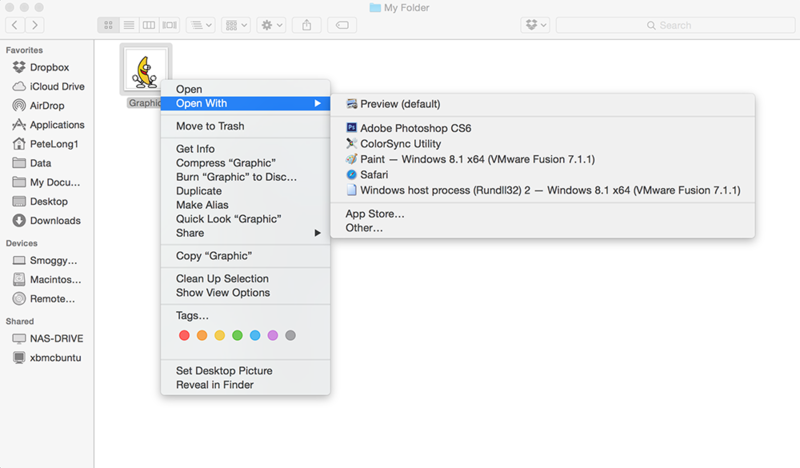 Locate the ‘Opens with’ section and change it to the desired app (in this case Photoshop) > Change All.